The celebrated 19th century artist's large-scale pièce de résistance Le Jeunesse de Bacchus will lead Sotheby's Impressionist and Modern Art sale on May 14. 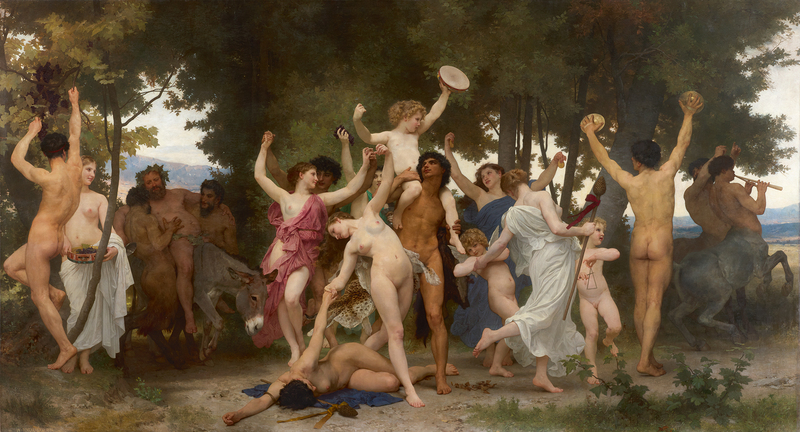 With staggeringly large proportions (11 feet tall and 20 feet wide) and a veritable bacchanal of movement and color, William-Adolphe Bouguereau's Le Jeunesse de Bacchus (The Youth of Bacchus) is considered his most important painting. Sotheby's New York recently announced that it will auction the artwork during the Impressionist and Modern Art evening sale on May 14 with an estimate of $25-35 million. The classically inspired work depicts a feast of Bacchus, the Roman god of wine and debauchery, as maenads (Bacchus' female followers) dance in the forested setting, naked cherubs play instruments, centaurs (half man, half horse) blow on flutes and satyrs (woodland gods) cavort through the woods. An over-served Bacchus, crowned by a wreath of ivy, rides into the festivities on a donkey, supported by two of his followers. 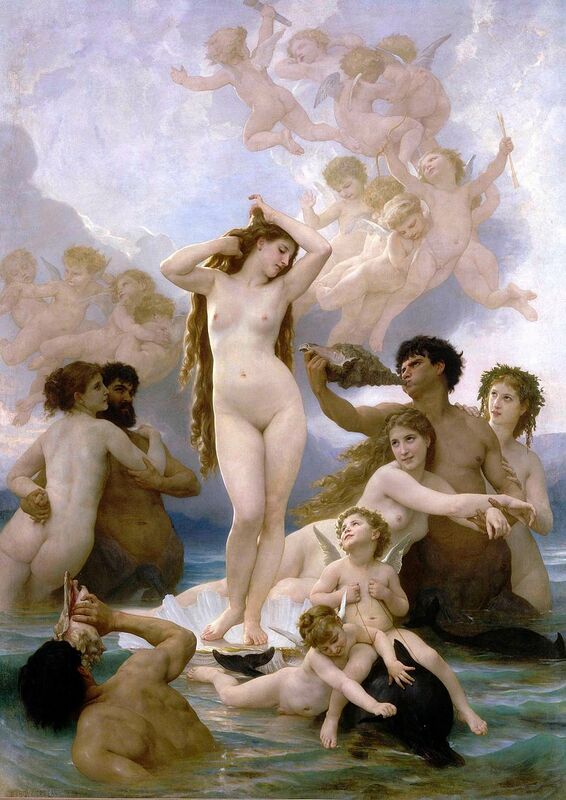 The elaborate scene features hallmarks of the works of Bouguereau, a pre-eminent 19th century painter of the Paris Salon, with his mythical subject matter, proportionate and idealized human form, and masterful command of light and color. Close-up of man from La Jeunesse de Bacchus who measures 5 feet, 7 inches to give an idea of the scale of the work. 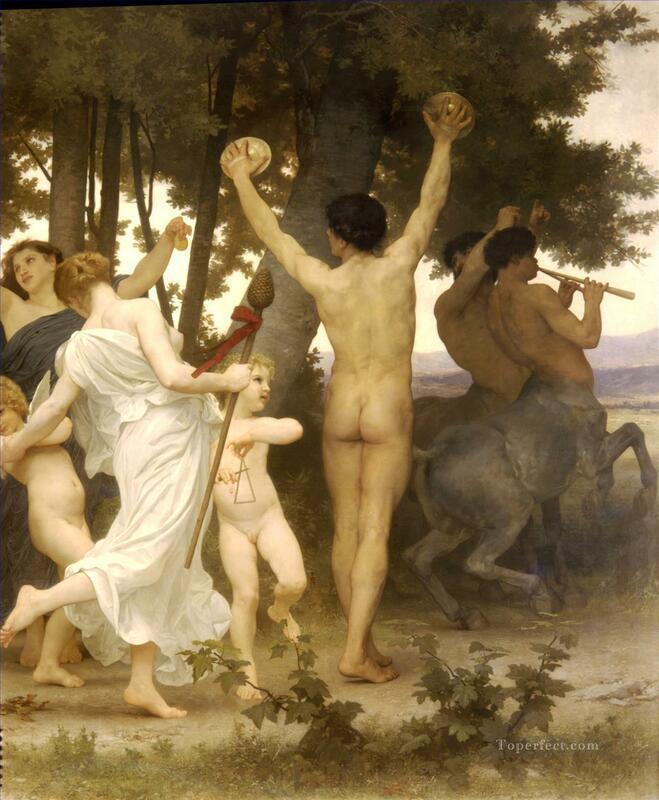 Bouguereau finished Le Jeunesse de Bacchus in 1884 after three years, unveiling it for the 1884 Paris Salon. It has only been exhibited a handful of times in the past 135 years: in London and Antwerp in 1885 and a century later at Connecticut's Wadsworth Atheneum in 1984-85. It has remained in the artist's Paris studio as property of Bouguereau's descendants and will head to sale for the first time ever this spring. Benjamin Doller, Chairman of Sotheby’s Americas, commented, “When you see the true majestic scale and technical brilliance of this masterpiece, you realize this is one of the greatest pictures painted in the 19th century. Its appearance on the market, something I would have only dreamed of back in 1985 [when it was exhibited in Connecticut], will present a truly singular opportunity to acquire a work that is the last and greatest of its kind.” Pascale Pavageau, Head of Sotheby’s 19th Century Paintings & Drawings Department, Paris, echoed Doller's sentiments, saying, “The unveiling of this icon invites a dynamic opportunity to consider the past, present and future of this composition – inspired by Classical myth and almost mythical itself. A tour de force of line and color on the grandest scale, every element compels immediate appreciation and close examination." Self portrait, William Bouguereau. 1879, oil on canvas. 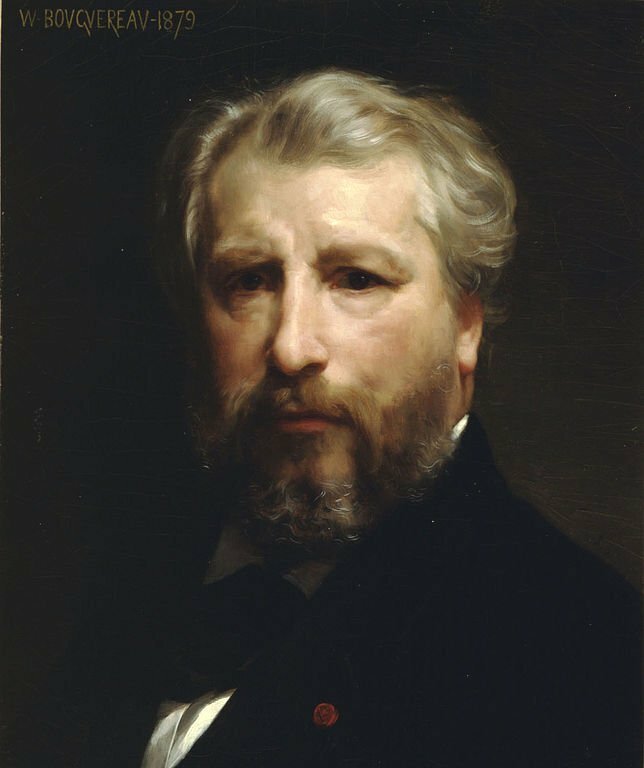 William-Adolphe Bouguereau was one of the most celebrated painters of his time, an established artist of the Paris Salon. He was born in La Rochelle, France in 1825 and displayed great talent in drawing and painting from a young age. 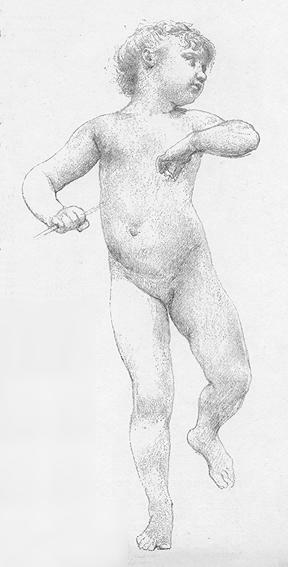 In 1846, when he was 20, he moved to Paris to study at the Ecole des Beaux Arts, where he learned to master the style of academic painting, focusing on detailed historical or mythological scenes with great attention to beautified human anatomy (based on classical sculpture), geometric perspective and the balance of color and line. 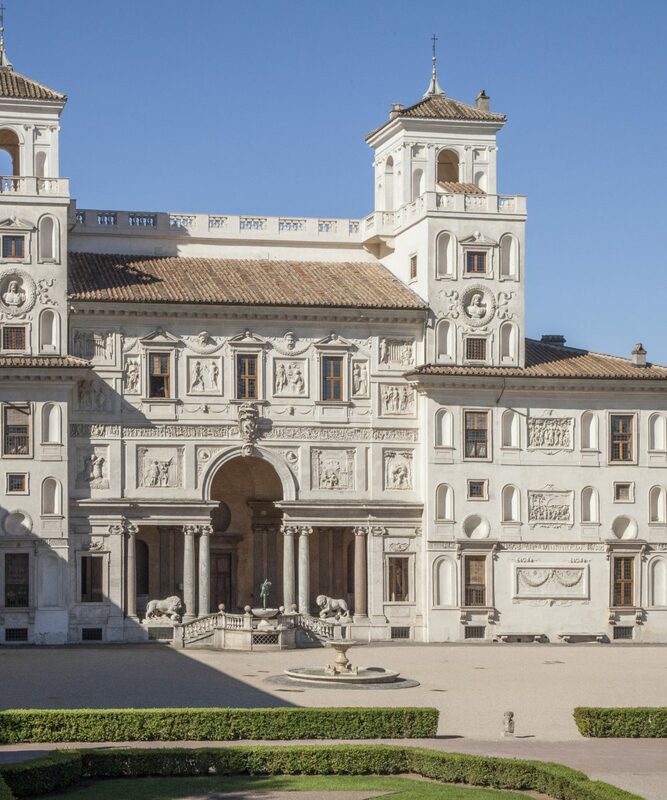 His extraordinary talent did not go unnoticed and he was awarded the prestigious Prix de Rome in 1850, a three-year residency at Villa Medici in Rome where he was exposed to Renaissance masterpieces, classical styles and antiquities. He once said, "There's only one kind of painting. It's the painting that presents the eye with perfection, the kind of beautiful and impeccable enamel you find in Veronese and Titian," his greatest inspirations. After his residency finished, he returned to France and his career took off. He was awarded several commissions, from allegorical scenes of the Four Seasons to grand battle scenes of Napoleon III, the emperor at the time. 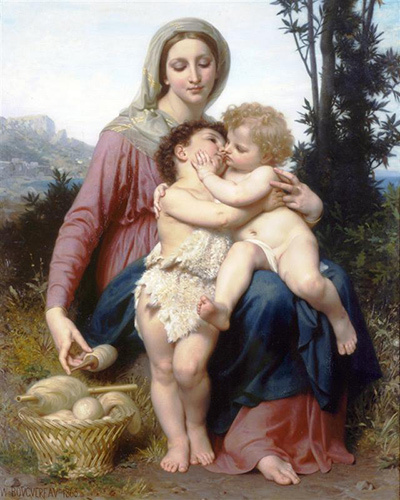 In 1863, his painting The Holy Family, on exhibition at the Paris Salon, was sold to Napoleon III and his wife Eugenie and hung in their Paris apartment. Imperial favor magnified the spotlight on him and commissions arrived from European royalty and wealthy Americans. He was renowned for his precise, yet idealized renderings of the human form, created in adherence to his academic studies. His most famous works were often of classical or mythological women, such as the goddesses Aurora, Psyche or Venus, that were often detailed scenes of beautiful bodies in motion, a soft color palette and ethereal backgrounds. He always sketched his subjects before painting them, a lesson inculcated from years at Ecole des Beaux Arts. Although he was very popular in his time, he was spurned by the Impressionists, who believed his work was too slick and polished and tethered to tradition. After his death in 1905, his work was largely ignored as modern art eclipsed traditional academic painting. He left behind over 820 paintings, which hang in museums worldwide, with his most famous works at the Musee d'Orsay. His command of graceful subjects, precise form and classical themes have experienced a renaissance in the past few decades and his work has achieved millions at auction. The arrival of La Jeunesse de Bacchus, a large-scale celebration that highlights his classical background and close attention to accurate form and beautification, calls for a reconsideration of this French Salon master and his stylistic achievements.